Every year, thousands of Americans are attacked by dogs. 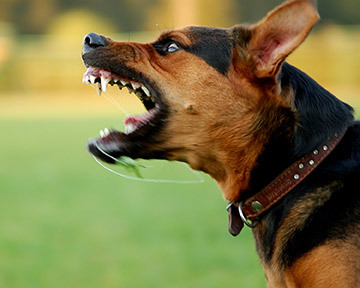 While there are no reliable statistics for dog bites in Metairie, it can be assumed that with the large number of stray dogs and fighting dogs in the city, bites occur fairly often. We cannot simply blame the dogs for these alarming statistics. Many animals are trained as guard dogs, attack dogs, or even fighting dogs, despite the fact that it is illegal to train dogs to fight. These dogs are victimized every bit as much as the victims of their attacks, and they too are often severely injured or even killed in dog fighting rings as they fight for their lives. It is no surprise that many of these animals are ingrained with vicious behaviors and ultimately end up harming humans. Negligent and abusive dog owners should be held liable for their actions and lawsuits for dog bites and attacks not only compensate the injury victim, but also send a powerful message to deter Metairie dog owners from fighting their dogs or training them to be vicious or aggressive. Dog fighting is still a problem in Metairie and throughout the Southeastern Louisiana area. Many people view dog-fighting as a sport or entertainment, but it is cruel and it is a crime. It also leads to aggressive dogs and poor breeding methods. Of course, sometimes dogs that have never been trained to be aggressive or to fight will bite and injure victims, without any provocation whatsoever. Their owners should also be held liable in many cases, especially when they had knowledge of the dog's tendency to bite or when some negligence on their part attributed to the dog bite. What it boils down to is that if you or a loved one have been bitten, attacked, maimed, or killed by a dog, you should be entitled to some degree of compensation from the dog's owner or handler. Contact one of the experienced Metairie dog bite lawyers above for a consultation regarding your claim. The owner of an animal is answerable for the damage caused by the animal. However, he is answerable for the damage only upon a showing that he knew or, in the exercise of reasonable care, should have known that his animal's behavior would cause damage, that the damage could have been prevented by the exercise of reasonable care, and that he failed to exercise such reasonable care. Nonetheless, the owner of a dog is strictly liable for damages for injuries to persons or property caused by the dog and which the owner could have prevented and which did not result from the injured person's provocation of the dog. Nothing in this Article shall preclude the court from the application of the doctrine of res ipsa loquitur in an appropriate case. A person who is injured by a dog in Louisiana also may use the other common grounds for liability. They are scienter, negligence, and negligence per se. 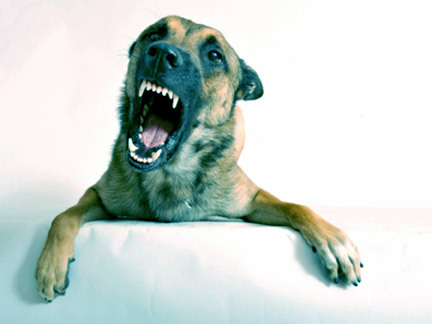 The Supreme Court of Louisiana has held that a dog bite victim must prove that the dog posed an unreasonable risk of harm, in addition to the facts that must be proved in the more common dog bite statutes (i.e., that the defendant was the owner of the dog, the dog caused harm to the plaintiff, and the extent of loss to the plaintiff). Pepper v. Triplet, 864 So.2d 181 (La. 2004). When a statute or ordinance is violated and the violation leads to an injury, this is called negligence per se. The phrase "per se" comes from the Latin, meaning "through itself." In legal jargon, negligence per se refers to the legal finding of negligence, or fault, based on the simple violation of a statute or regulation. Essentially, negligence per se is a legal fiction wherein lawyers and judges are willing to hold a defendant guilty simply for breaking the law, even though negligence itself might not be present. Specific requirements are: (1) the violation of the statute or ordinance was unexcused; (2) the statute or ordinance was designed to prevent injury to the class of persons to which the injured party belongs; and (3) it has been deemed appropriate to impose tort liability for violations of that statute. Usually, these types of dog control laws and ordinances are only found in large Louisiana cities like Metairie. If you or a loved one has been bitten or mauled by a dog running loose in violation of the law of Metairie or the law of a Parish in Southeastern Louisiana, you should contact a local Metairie dog bite attorney immediately. Metairie, part of Jefferson Parish, has dog laws separate from Louisiana's laws. Metairie now requires dogs to be spayed or neutered at 6 months old, unless a special permit is purchased. To purchase the permit, at a cost of $20 per year, the dog must be up to date on all shots and micro-chipped. If you or a loved one have been bitten or mauled by a dangerous dog in Metairie, Jefferson Parish, or Southeastern Louisiana, please contact one of the experienced Metairie dog bite injury lawyers listed on this page. Make every attempt to keep the animal in sight, find its owner, and obtain the owner's contact information, preferably verified by their photo ID. Seek the help of a Metairie dog bite attorney, if necessary, and maintain copies of all medical records. § 14:102.14. Unlawful ownership of dangerous dog. B. It is unlawful for any person to own a dangerous dog without properly restraining or confining the dog. C. A dangerous dog, while on the owner's property, shall, at all times, be kept indoors, or in a secure enclosure. A dangerous dog may be off the owner's property only if it is restrained by a leash which prevents its escape or access to other persons. D. The owner of a dog determined by the court to be dangerous shall post signs around the secure enclosure no more than thirty feet apart and at each normal point of ingress and egress. The signs shall bear the words "Beware of Dog", or "Dangerous Dog" in letters at least three and one-half inches high and shall be so placed as to be readily visible to any person approaching the secure enclosure. E. If the dog in question dies, or is sold, transferred, or permanently removed from the municipality or parish where the owner resides, the owner of a dangerous dog shall notify the animal control agency of the changed condition and new location of the dog in writing within two days. F. Whoever violates the provisions of this Section shall be fined not more than three hundred dollars. No person shall suffer or permit any dog in his possession, or kept by him about his premises, to run at large on any unenclosed land, or trespass upon any enclosed or unenclosed lands of another. B. The governing body of each municipality or parish may, by ordinance, fix the sum to be paid annually for the dog or cat license fee, which sum shall not be more than ten dollars for each spayed or neutered dog or cat and not more than twenty dollars for each un-spayed or un-neutered dog or cat. However, notwithstanding any provisions to the contrary, the governing body of any municipality or parish with a population in excess of four hundred seventy-five thousand persons may, by ordinance, fix the sum to be paid annually for the dog or cat license fee, which sum shall not be more than ten dollars for each spayed or neutered dog or cat and not more than twenty dollars for each un-spayed or un-neutered dog or cat, and any such funds derived from said license fee shall be dedicated solely for the capture, control, and housing of stray animals. (1) Upon presentation of a certificate issued by any licensed veterinarian stating that the dog or cat, if female, was made incapable of producing young by spaying by the veterinarian, or, the dog or cat, if male, was made incapable of producing young by sterilization by the veterinarian. (2) Upon examination by a licensed veterinarian any dog or cat, whether male or female, is certified by the veterinarian to be incapable of producing young. (3) If the dog or cat has been previously licensed as a spayed or neutered dog or cat. D. Dogs used as guides for blind persons and commonly known as “seeing-eye” dogs or dogs used to assist deaf persons and commonly known as “hearing-ear” dogs, may be licensed as other dogs herein provided for, except that the owner or keeper of such dog shall not be required to pay any fee therefor. (1) Fifteen dollars if no more than five dogs over the age of six months are harbored on the owner's premises at the time of the application. (2) Twenty-five dollars if more than five dogs but no more than ten dogs over the age of six months are harbored on the owner's premises at the time of the application. (3) Thirty dollars if more than ten dogs over the age of six months are harbored on the owner's premises at the time of the application. A licensed veterinarian or a veterinary clinic shall be exempt from this provision in the conduct of their regular business. F. Upon the issuance of a kennel license, the owner shall be furnished a number of license tags equal to the number of dogs harbored on the owner's premises. All of the provisions contained in Subsection (A) of this Section with regard to issuance of license tag, license certificates and the keeping of records shall also apply to kennel licenses. (1) Fifteen dollars, if no more than five dogs over the age of six months are harbored on the owner's premises at the time of the application. (2) Twenty-five dollars, if more than five dogs but no more than ten dogs over the age of six months are harbored on the owner's premises at the time of the application. (3) Thirty dollars, if more than ten dogs over the age of six months are harbored on the owner's premises at the time of the application. H. No individual or business that breeds, buys, or sells dogs retail, wholesale, or to the public shall maintain more than seventy-five dogs over the age of one year at any time for breeding purposes. I. Any person who violates the provisions of this Section shall be guilty of a misdemeanor and upon conviction shall be fined not more than five hundred dollars or imprisoned for not more than six months, or both. A. Dogs owned by citizens of this state and by citizens of other states and situated and located in this state are declared to be personal property of such citizens. B. Any citizen may, or the sheriff, constable, or other police officers of any parish, ward, or municipality shall seize any dog found unaccompanied by its owner or keeper and running at large on any road, street, or other public place, or trespassing on any premises other than the premises of the owner. If the dog is wearing a collar bearing a tag showing the name and address of its owner, it shall be impounded and the citizen or officer so seizing and impounding the dog shall immediately thereafter by written notice notify the owner of the dog, at the address disclosed by the tag on the dog's collar, that the dog has been seized and impounded by him, and unless the owner or keeper of the dog shall, within seven days from the receipt of the notice, claim the dog and pay the citizen or officer a fee of one dollar for seizing and a fee of twenty-five cents for each day it is impounded, it shall be disposed of in a humane manner. C. Except in the parishes of St. Helena, St. Tammany, Tangipahoa, and Washington, any citizen may, or the sheriff, constable, or other police officers of any parish, ward, or municipality shall, seize any dog found unaccompanied by its owner or keeper and trespassing on any premises that is fenced with at least a two-inch by four-inch wire mesh that is a minimum of four feet high. If the dog is wearing a collar bearing a tag showing the name and address of its owner, it shall be impounded and the citizen or officer so seizing and impounding the dog shall immediately thereafter, by written notice, notify the owner of the dog, at the address disclosed by the tag on the collar of the dog, that the dog has been seized and impounded by him, and unless the owner or keeper of the dog shall, within seven days from receipt of the notice, claim the dog and pay a seizing fee of twenty dollars and an impoundment fee of one dollar for each day it is impounded, it shall be disposed of in a humane manner. Ten dollars of the seizing fee shall be paid to the law enforcement agency called upon to seize the dog. The remainder of the seizing fee shall be donated to a recognized nonprofit conservation group. This Subsection shall apply only to fox pens. D. Any citizen or officer may kill any dangerous or vicious dog, and no citizen or officer shall be liable for damages or to prosecution by reason of killing any dangerous or vicious dog. Each parish shall provide suitable shelters or facilities for dogs seized under the provisions of this Part. Nothing in this Part shall prevent any citizen of this state from lawfully hunting with a dog, provided the dog is accompanied by the owner or keeper. All license taxes on dogs are due annually on the anniversary date of the administration of the rabies vaccination; provided that as soon as a dog becomes no more than six months of age the owner of the dog shall be liable to pay the license tax for the year in which the dog reaches such age. Whoever violates any provision of this Part, or fails or neglects to perform any duty imposed by it, shall be fined not less than twenty-five dollars nor more than one hundred dollars and the cost of prosecution, or imprisoned for not more than thirty days, or both. Whoever removes from any dog a collar bearing a license tax tag as provided for in this Part, or alters or removes any such license tax tag from a dog properly registered as herein provided for, shall be fined not more than one hundred dollars and the cost of the prosecution, or imprisoned for not more than thirty days, or both. Nothing contained in this Part shall be construed to prevent or otherwise limit the governing authority of a municipality or parish operating under a home rule charter with a population greater than four hundred twenty-five thousand according to the latest federal decennial census from setting fees and fines in amounts sufficient for the operation of its animal control program or for the effective enforcement of its animal control ordinances; however, in no event shall such fees or fines be less than those imposed under this Part. If you or a loved one has suffered an injury, please contact one of the experienced Jefferson Parish dog bite lawyers listed on this page.